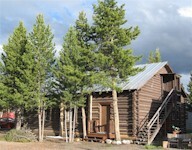 This West Yellowstone log cabin sleeps up to 14 people! 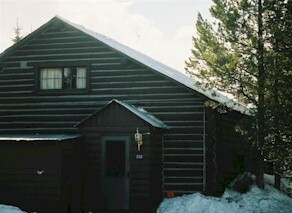 It is actually in the town of West Yellowstone, unlike others that you see on some web sites, which are far out of town. Downstairs it has two bedrooms, a full bathroom, kitchen, dining area and living area, plus another full bathroom, and two bedrooms upstairs. The upstairs also has its own cooking facilities, as well as a sitting area and a bar at which to eat. 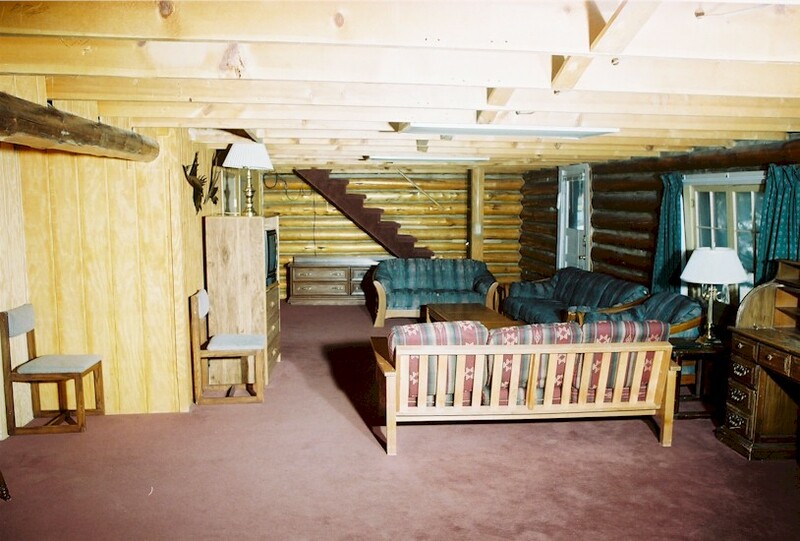 There is free wireless Internet throughout the cabin, as well as one large flat screen TV with cable downstairs, and another cable TV upstairs. Take a look at the rates, and then please make a reservation here, but read the cancellation, check in and payment policy first. Please note that your booking is not confirmed until we send you a confirmation email! 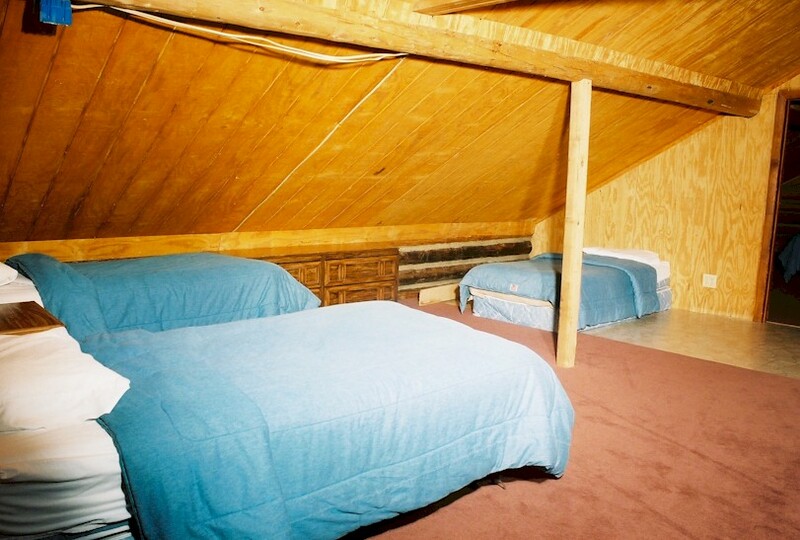 The two downstairs bedrooms each have two double beds in them. 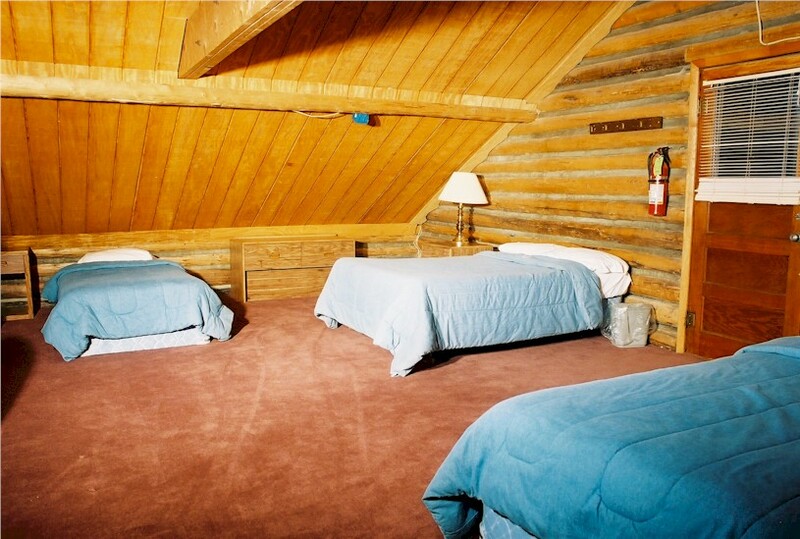 One of the upstairs bedrooms has two queens and two single beds in it, while the other bedroom has a queen in it. 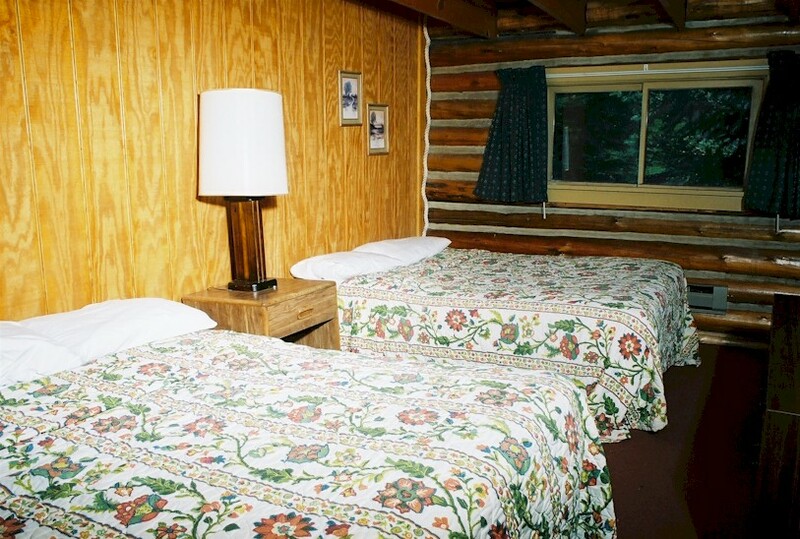 Please be aware that this is not a fancy cabin, but it does have everything you need in the way of linens, furniture, crockery, cutlery, etc. 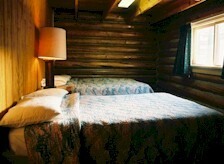 The maximum number of people who can stay in the cabin is 14. 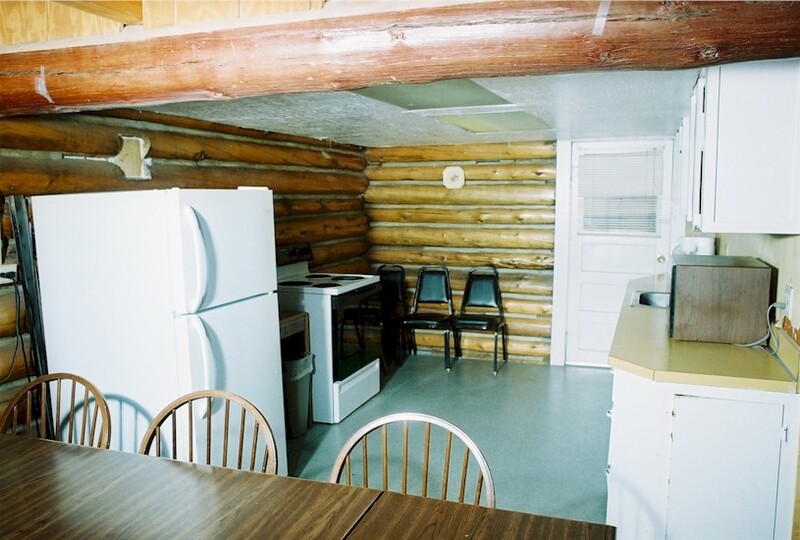 This Yellowstone lodging is located a few blocks from the town's shops and restaurants, and is also very close to the entrance to Yellowstone National Park, which is less than one mile away. The Grizzly and Wolf Discovery is even closer, as is the IMAX Theatre. A cleaning charge of $95 is applicable. Certain minimum stay periods may apply. 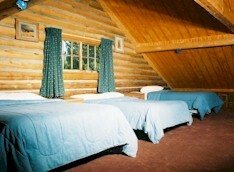 Please make a reservation here, but note our cancellation, payment and check in policies first! Please note that your booking is not confirmed until you receive a confirmation email from us. Have you considered taking one or more Yellowstone tours while you are visiting Yellowstone? Let our tour division shows you parts of the park you would never find yourselves.